Undoubtedly, any laser device might be harmful. Eye Protection - Goggles are included in every Cubiio package. Always wear goggles while Cubiio is working. Do not look at the laser radiation even with the goggles. Password Lock - Password is required before operating every time. Only authorized persons are allowed to use Cubiio. 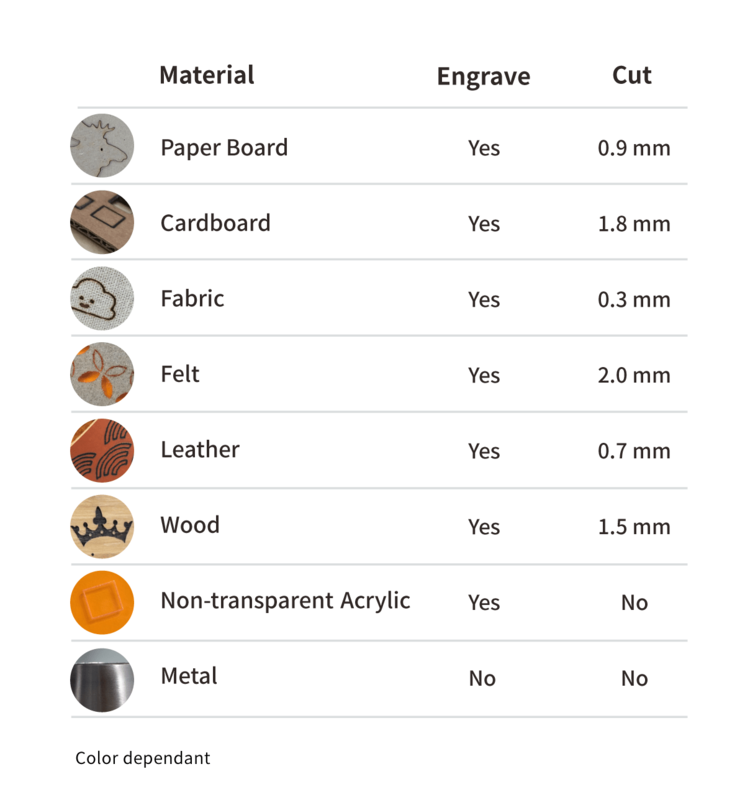 Lasering Indication - A bright LED indicates when the laser is energized and operating. 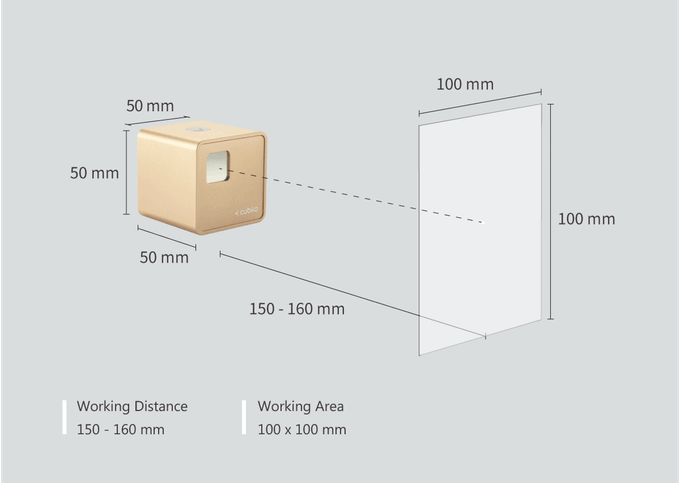 Motion Detection - A sensitive 3-axis accelerometer is equipped. 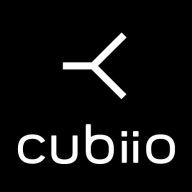 While accidental movement happens during operating, Cubiio will shut down immediately. 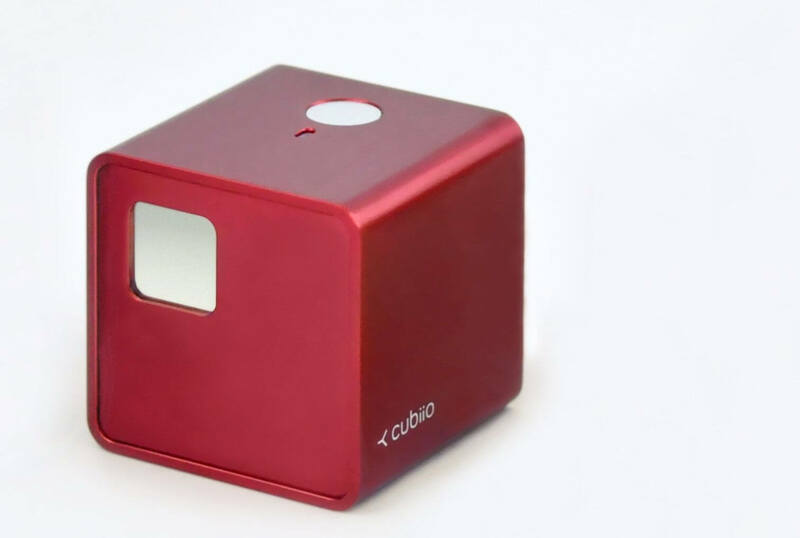 Overheat Shutdown - Cubiio should work in the environment with sufficient heat dissipation. If the inner temperature approaches to the damaging threshold, Cubiio turns itself off. 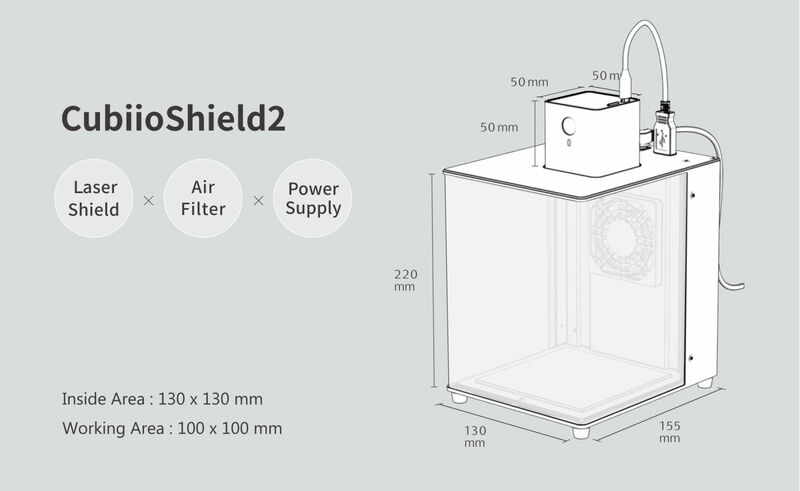 CubiioShield - Safety is priceless. We offer upgraded protection for users who have higher safety standard. 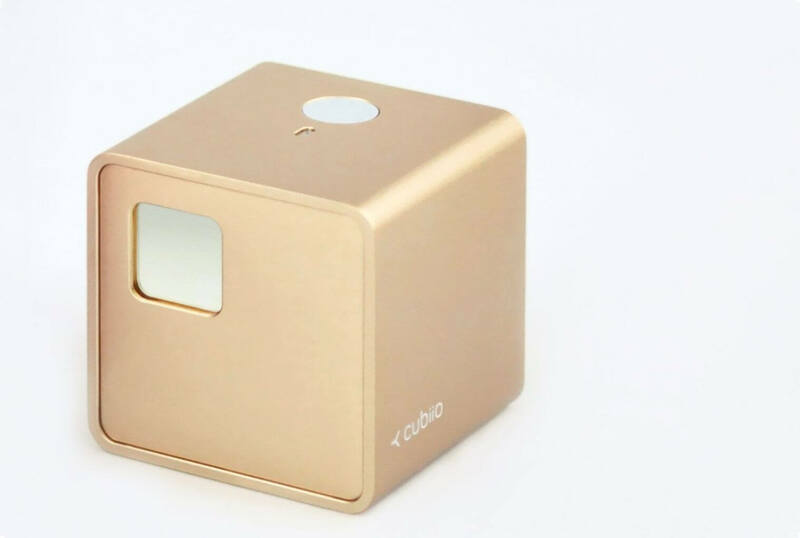 Cubiio cannot process on white, transparent, or highly reflective objects. 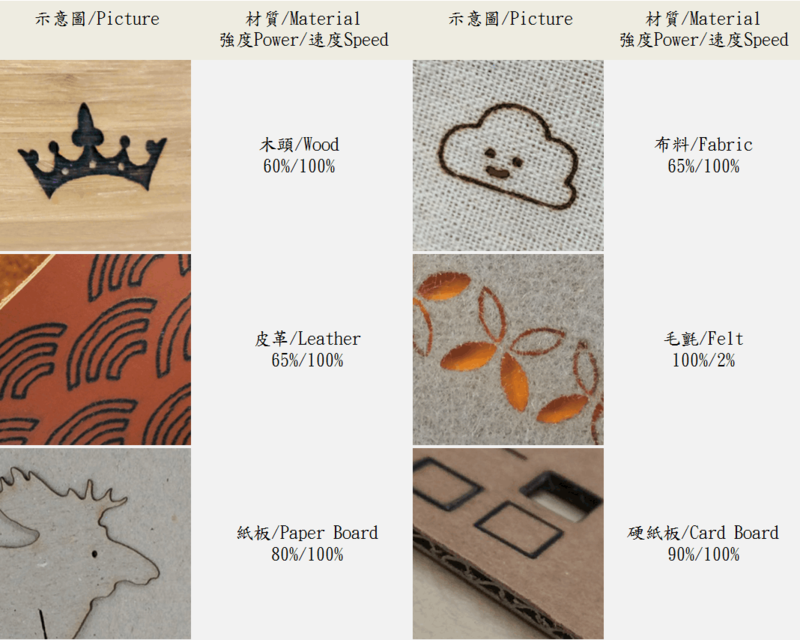 Certifications IEC 60825-1 (Laser Class 1), CE, FCC, and FDA CDRH registered. IEC 60825-1 (Laser Class 4) if laser module works without shield.